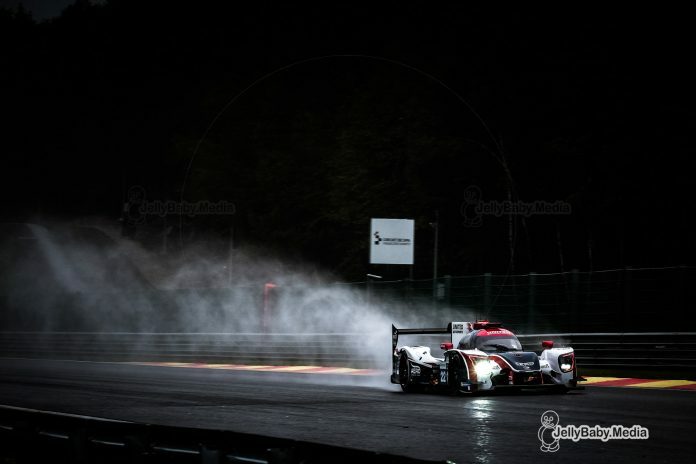 With heavy rain & severe weather conditions predicted for race day, it was decided to move the start of the 4 hours of Spa-Francorchamps forward with 1h15’ to 10h45. Despite the earlier schedule trying to avoid the worst weather, track conditions were very tricky at race start. The 40-car field started behind the safety car, before being unleashed after 4 laps on a soaked track. Drivers were very cautious on the wet and slippery track, but that didn’t prevent a lot of incidents bringing out three safety cars before the race was red flagged. Andrea Pizzitola in the #26 G-Drive held on to the lead at the start, but immediately had Nicolas Jamin in the #29 Duqueine Engineering under his rear wing. Jamin kept pushing and got into the lead when he passed Pizzitola at Fagnes a few laps into the race. 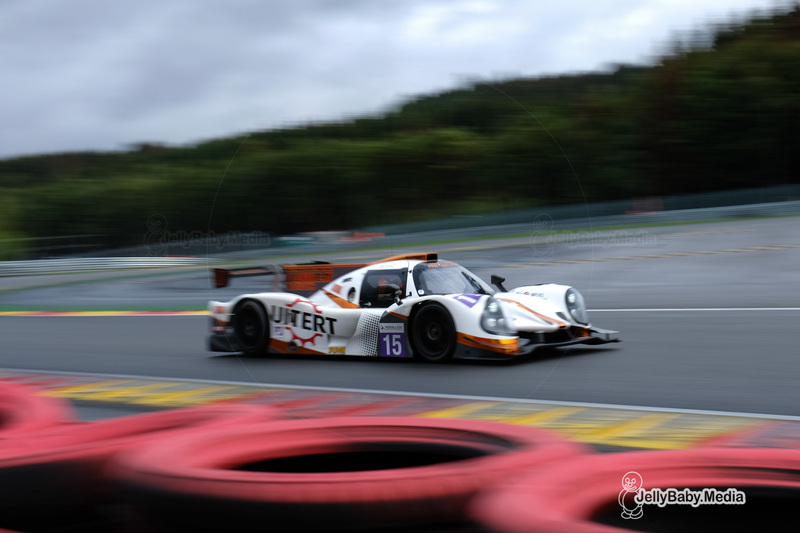 Jean-Baptiste Lahaye kept the lead in the LMP3 class early in the race, but eventually had to let Job Van Uitert pass in the #15 RLR MSport after a strong start from fifth position. In the LMGTE class, Ricardo Pera had a perfect start, overtaking the #88 Porsche of Gianluca Roda and going straight into the lead. The first safety car was deployed when Jean-Baptiste Lahaye, under pressure of Matia Drudi in the #11 Eurointernational, lost control of his #17 Ultimate Norma and went into the barriers at the exit of Fagnes. The safety car came back in after 20 minutes after the #9 AT Racing also was recovered when it stopped on the Kemmel straight. Most of the teams used the safety car period to bring their cars into the pits and do their first driver changes. The #26 G-Drive Racing Oreca was back into the lead after the pitstops but Pizzitola now had Gustavo Menezes behind him in the #31 APR-Rebellion who was pushing hard for the lead. Menezes forced Pizzitola to run wide at Stavelot and took the lead of the race. 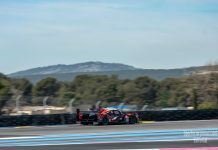 Pizzitola ran wide again the second lap at the same spot when he had to avoid the #12 Eurointernational Ligier who got stranded in the middle of the track. The #26 G-Drive tumbled down to ninth place, Pizzitola now coming into the pits to hand over the car to Formula E champion Jean-Eric Vergne. 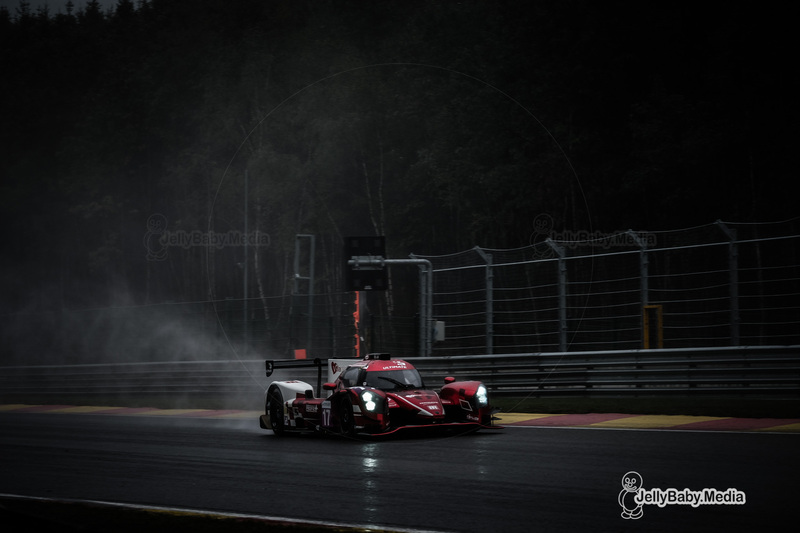 More incidents occurred when Nic Jonsson in the #83 Krohn Racing Ligier was pipped by Alexey Chulkin in the #5 Nefis BySpeed Factory Ligier in La Source and ran into the back of the LMP3 car. Jonsson made it back to pitlane but was forced to retire while Chulkin received a drive through penalty for causing a collision. Meanwhile in LMP3, Job Van UItert was still in the lead but now faced Antonin Borga in the #4 Cool Racing Ligier who quickly closed the gap with the #5 RLR M-Sport. After an intense battle which lasted for several laps, the Dutchman ran wide at Fagnes and lost his lead to Borga. Filipe Albuquerque took over from Phil Hanson in the #22 United Autosports Ligier and stormed into the lead in the team’s first race on Michelin rubber. 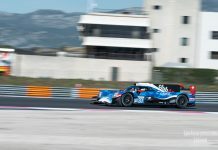 Julien Canal followed in second place with the #23 Panis Barthez Competition, another Ligier with the #24 Racing Engineering Oreca close behind in third. Meanwhile G-Drive Racing was not having the race they hoped for. After dropping down the order, their problems weren’t over yet. While Vergne was fighting for position with Ryan Cullen in the #31 APR Rebellion, Vergne pushed Christian Ried’s Porsche off the track at the brake zone into the Bus stop chicane, sending the Porsche sliding over the grass and straight into Cullen. Race over for both cars. Minutes later disaster struck again for Algarve Pro Racing when their #25 Ligier got into the grass at the start of the Kemmel straight. At the same time the #7 Ecurie Ecosse went off at Combes. Conditions got worse again with several cars struggling to stay on track, and the third safety car was brought out again to give the marshalls the chance to recover the stranded APR Rebellion. 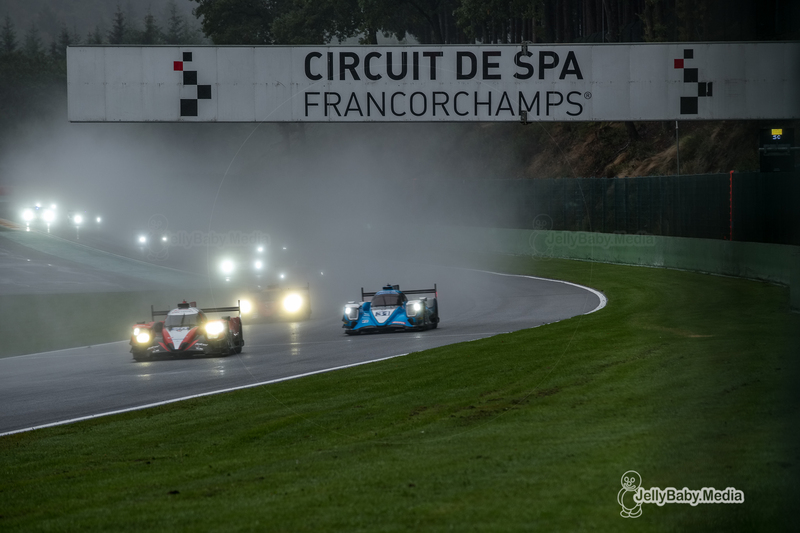 Rain kept falling down and track conditions got even worse, forcing race director Eduardo Freitas to red flag the race after just over two hours of racing. The cars lined up on the grid, but would never get to race again as weather conditions all but improved and 20 minutes later the race called off. 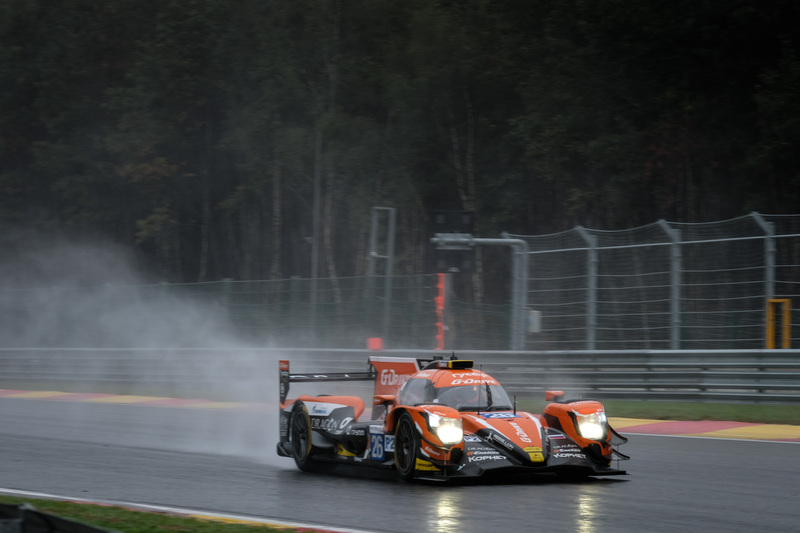 Filipe Albuquerque and Phil Hanson were leading the race when the red flag was waived and won the 2h20’ of Spa-Francorchamps. Second place was for the #21 Dragonspeed of Henman, Hanley and Lapierre, with the #23 Panis Barthez Competition of Buret, Canal and Stevens in third place on the podium. A remarkable fourth was the #28 IDEC Sport which came into the pits very early in the race, and fought it’s way up through the field up to fourth place. Despite finishing on 12th position (their 2 minute stop & go penalty was converted into a 2 min 30 seconds time penalty), the #26 G-Drive was crowned champions with Roman Rusinov and Andrea Pizzitola winning the drivers title. A double win for United Autosports this weekend, as John Falb and Scott Andrews finished first in the LMP3 class, ahead of the #15 RLR MSport Ligier of Job Van Uitert, Rob Garofall and John Farano. 360 Racing took hold of the third and final podium spot. 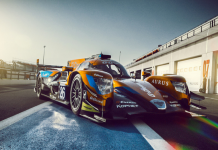 Ebimotors scored their first victory in the European Le Mans Series after an almost perfect race up to the red flag. Riccardo Pera, Fabio Babini and Bret Curtis went to to front of the class in the opening stages of the race, only to hold on to the lead, able to expand it every time when the safety car was called in again. The #55 Spirit of Race Ferrari of Duncan Cameron & co finished second, with the #88 Proton Competition Porsche in third.